Leave a Comment on Introducing Fire Lot! On 15th of January the start of Fire Lotto PRE ICO is planned which will continue till 15th of February. Due to this fact we would like to split a light on this project! 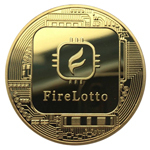 Fire Lotto is a fully decentralized lottery platform built on Ethereum smart contracts. As the developers assert – Fire Lotto is going to be the most honest lottery thanks to the fact that winning numbers are going to be chosen by RNG based on blockchain technology Bitcoin, so there is no possibility to fake the results. Moreover, all lottery parameters are in open source, they are accessible and fully transparent 24/7. What is even more important decentralized platform provides full autonomy and independence. Nevertheless, you will ask what is the core idea of Fire Lottery?! You can choose instant or draw lottery. Instant lottery Roger’s wheel has a fortune wheel with 21 numbers. 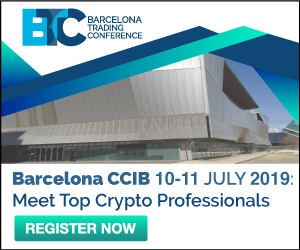 It offers bets from 0,007 ETH with coefficient from 2 to 20. If you guess the right number, then you’ll receive your bet multiplied by chosen coefficient. There are 3 types of draw lottery: 4 of 20, 5 of 36, 6 of 45. You pick one, buy a ticket and mark numbers. Lotteries are held every 6 hours. Your winnings are based on amount of numbers that you’ve guessed. Finally, the prize pool can grow up millions and millions of dollars! Next Entry Bitcoin Mining Wastes Energy?